Properties around Hamilton come in all shapes and sizes. Small, large, slanted or flat, all of these properties have a roof. Every property falls under a roof but not all of them are properly taken care of. It can be tough to keep your property clear of algae, moss and clutter at the ground level but upper levels can be even worse. 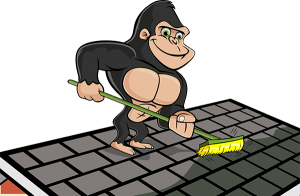 If you are seeing more and more build-up of clutter or it has just been a while since your last cleaning, our Gorillas can help. Your Hamilton roof cleaning and moss removal is only a phone call away. There is more to roof cleaning than initially meets the eye. 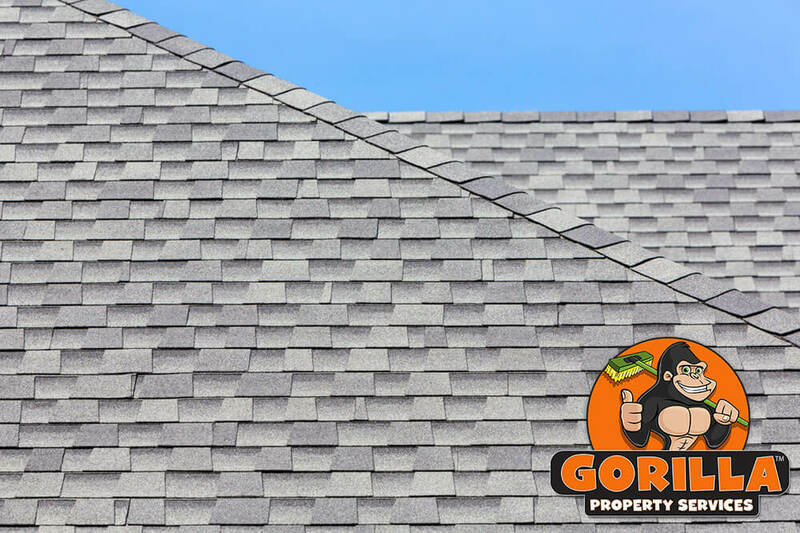 Instead of sweeping items off of your roof and onto your lawn, our Gorilla technicians can help you get a more well-rounded clean. When organic debris or clutter is covering the surface of your roof, it prevents you from keeping an eye on any potential damage. During your Hamilton roof cleaning and moss removal service, this debris is not just moved – it is removed. Once roof clutter is packing up and shipped out, issues with algae or moss growth are brought to the forefront. The biggest issue surrounding moss growth on your roof is more than just a plant in an unexpected place. Moss retains moisture, so as it rains, this plant will spread and begin to take over your roof. Instead of sticking to the surface, moss spreads under your shingles and can, in time, damage the integrity of your roof as a whole. Unlike scrubbing a bit of mould off of a door or window frame, your roof needs to be cleared of moss carefully. Instead of simply grabbing a wire brush and going to town, our Hamilton roof cleaning and moss removal service works with your property, to ensure the best possible results.